In view of the anniversary of last year’s failed coup in Turkey and the current geopolitical events in southeastern Europe, the President of Turkey Recep Tayyip Erdogan moved on a declaration regarding the restoration of the death penalty as an exemplary tool of penitentiary and prevention of any potential future revolutionary actions against his government. 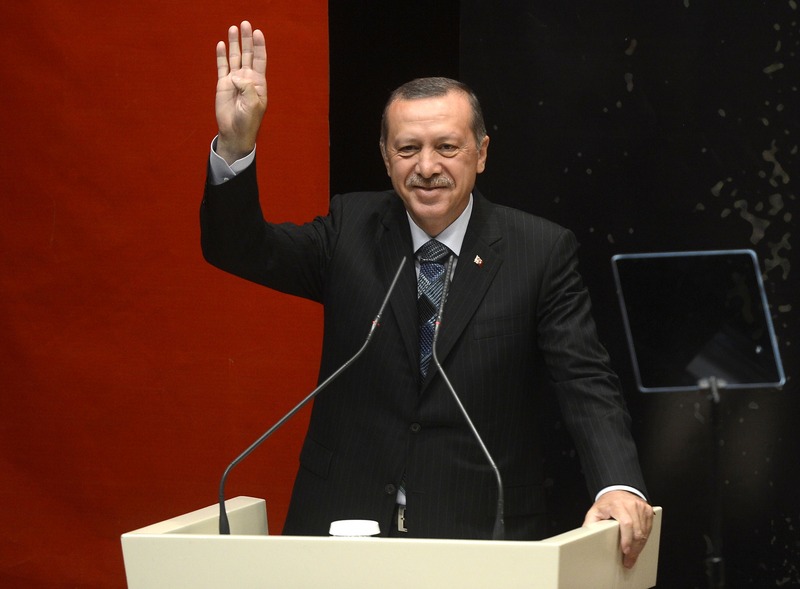 Specifically, during a ceremony dedicated to the victims of the defeated coup, Erdogan showed his intense displeasure against European policy and declared that the country had to follow its own path, thus supporting the restoration of the death penalty as its first step in this direction. By using the parallelism with Guantanamo’s prison, he pointed out that he will not show any sign of mercy for those who betrayed his regime. These movements are undoubtedly related to the wider geopolitical events in southeastern Europe. In view of the current explorations in Cyprus’ EEZ and their support by Europe and the United States, the Turkish President is noticing himself as being marginalised and without having a starring role in the events. As a result, by following an even more conservative policy against fundamental human rights, he aims to make his presence evident and show that Turkey is a regional power which should not be disregarded. The gradual demystification of his perception that Turkey constitutes an insuperable geopolitical actor leads Erdogan to spasmodic and meaningless movements, aiming to threaten Europe in order for the latter to accelerate accession negotiations. As years pass with no substantial improvements in the issue of Turkey’s accession in the European Union, due to the former’s crackdown on human rights and non-democratic reforms, Erdogan acts like no other computational power exists within the international community. In particular, he said ‘We will sort things out for ourselves. There’s no other option’, implying that his primary goal is to oppose the European Union’s decisions by ignoring any recommendation or appeal for compliance with democracy and the rule of law. However, how is the restoration of the death penalty related to the current explorations in Cyprus’ EEZ? It is widely known that Turkey is characterised by its non-compliance with international human rights regulations due to the government’s autocracy and the society’s conservatism. As a country that knows very well how to promote and pursue its over-ambitious goals, Turkey has often taken advantage of Europe’s observatory role and moderate calls for human rights’ protection. President Erdogan’s perception of a ‘Great Turkey’ combined with the overvalued role which has often been attributed to the country – such as in the management of the refugee issue – has created the impression that Turkey can act independently without receiving any kind of political or economic consequences. Thus, the use of distraction movements constitutes a tool for the country to claim and pursue easily obtained benefits from Europe. Regarding the current events, Erdogan cannot understand or accept the fact that the drilling in the region of the southeastern Mediterranean have started without his consent or at least without Turkey’s participation. The country’s marginalisation has constituted the basic reason for the Turkish President to move on even more conservative declarations such as the potential restoration of the death penalty, aiming to threaten Europe and the USA that either they will treat Turkey as a significant regional actor or their bilateral relations will be undermined. By watching his role in this project being ignored, the Turkish President seeks at least not to lose his legitimacy before his citizens. Therefore, he does not only verbally attack any actor that does not serve his interests but also gets involved by sending battleships and violating its neighbours’ territorial sea and airspace. It should be acknowledged that there is a dual objective behind this behaviour – the first one being the enhancement of his presence in the region of the southeastern Mediterranean and the second one the securing of his national legitimacy. In order to achieve this, Erdogan presents himself as the link of Turkey’s concord and security at national, regional and international level. By ensuring his actions have national legitimacy, he does not hesitate to oppose against any event that is supposed to undermine the country’s vital interests. Corroborating the aforementioned, Erdogan’s conservative and spasmodic movements are not only attributed to his disagreement with the European Union in the issue of the accession negotiations, but have been boosted by the current explorations in Cyprus’ EEZ. Despite the repeated violations of Greece and Cyprus’ territorial sea constituting a way for Turkey to show its presence, Erdogan is not expected to provoke further and more serious incidents in the region since he will have to confront two of the most powerful international actors – the European Union and the USA. Consequently, the Turkish President’s policy is restricted to limited range violations which, however, should not be ignored or disregarded. Butler, D. and T. Gumrukcu (2017) ‘Defiant Erdogan attacks EU, backs restoring death penalty’, Reuters. Accessed 19 July 2017 <http://ca.reuters.com/article/topNews/idCAKBN1A10E7-OCATP>. Shaheen, K. (2017) ‘Erdogan to continue crackdown as Turkey marks failed coup’, The Guardian. Accessed 19 July 2017 <https://www.theguardian.com/world/2017/jul/15/erdogan-repeats-support-death-penalty-on-anniversary-of-turkey-coup-attempt>. ‹ Financing Africa’s Renewable Energy Transition: Public-Private Partnerships	› South Africa: What can we do today to change our tomorrow?